After doing a PhD at the Max Planck Institute for Biological Cybernetics and a PostDoc at the Max Planck Institue for Intelligent Systems, I'm using machine learning for medical imaging applications e.g. for cardiovascular applications as a Senior Scientist at Philips Research, Hamburg, Germany. During my study times at the Technical University Berlin and the Université de Nantes I did internships with Microsoft Research in Cambridge, Siemens Corporate Research in Princeton and Siemens Medical Systems in Erlangen. My research interests lie in probabilistic machine learning, computer vision and pattern recognition, medical image processing and predictive patient-specific biophysical models based on Gaussian processes and neural networks. My work is listed below, and also on . In case you wish to collaborate or have questions, please contact me via contact.hannes@nickisch.org. GP The Gaussian Process for Machine Learning toolbox. A library for Gaussian process regression and classification for Octave/Matlab containing a variety of approximate inference schemes ranging from Laplace's method over expectation propagation to variational Bayes. We furthermore support large scale approximate inference via the FITC approximation and MCMC sampling. See the mloss.org project, the gitlab repository, the JMLR paper and the gpml page. CV A dataset for Attribute-Based Classification. A dataset for benchmarking transfer-learning or zero-shot learning algorithms. The dataset contains 30475 images in 50 animal classes aligned with Osherson's well-known class/attribute matrix with 85 numerical attributes per class. See the download website, the download website of the free successor dataset, the CVPR paper and the IEEE-TPAMI pdf. CV A dataset for aurora classification. A dataset containing manually labeled aurora images from the THEMIS all-sky imagers. The dataset contains a total of 5824 images in 6 different classes "arc", "diffuse", "discrete", "cloudy", "moon" and "clear". It can be used to train classifiers and benchmark algorithms. See the download website for the images and a baseline and the related JGR paper. ML The Generalised Linear Models Inference and Estimation Toolbox. A library for large scale matrix vector multiplication (MVM) based computations in generalised linear models for Octave/Matlab. We support variational Bayes, factorial mean field and expectation propagation as well as MAP estimation using a wide range of penalised least squares solvers for sparse estimation. A dedicated matrix class provides computational primitives and a wide range of regularisers are supported. See the mloss.org project, the JMLR paper and the glm-ie page. GP Gaussian mixture modeling with Gaussian process latent variable models and others. The toolbox contains code for density estimation using mixtures of Gaussians. Starting from simple kernel density estimation using spherical and diagonal Gaussian kernels over manifold Parzen window until mixtures of penalised full Gaussians with only a few components, the toolbox covers many Gaussian mixture model parametrisation from the recent literature. Most prominently, the package contains code to use the Gaussian process latent variable model for density estimation. See the mloss.org project and the corresponding DAGM paper or get the code here. The fast wavelet transformation for tensor data. The code contains a standalone light-weight implementation of the orthonormal wavelet transform using quadrature mirror filters in C including a Matlab/MEX wrapper. We fully support D-dimensional data in L levels. The algorithm has a computational complexity linear in the size of the input. See the mloss.org project or get the code here. GP A variety of approximate inference methods for Gaussian process prediction. The code comprises expectation propagation, Laplace's method, the informative vector machine, Gaussian variational mean field, factorial mean field, on-line expectation propagation, TAP and variational bounding. Note that is numerically much less robust than the code in gpml. The implementations are meant to illustrate the algorithms as such and not for use as a black box system in an applied setting. The functions use the gpml v2.0 Octave/Matlab interface. See the corresponding JMLR paper or get the code here. W. Herlands, D. B. Neill, H. Nickisch, A. G. Wilson, JMLR, accepted, 2019. T. Lossau, H. Nickisch, T. Wissel, S. Hakmi, C. Spink, M. Morlock, M. Grass, MIDL (oral), 2019. I. Baltruschat, H. Nickisch, M. Grass, T. Knopp, A. Saalbach, NSR, accepted, 2019. T. Lossau (Elss), H. Nickisch, T. Wissel, R. Bippus, M. Morlock, M. Grass, Medical Image Analysis, 52:68-79, 2019. L. Clausen, H. Nickisch, Journal of Geophysical Research - Space Physics, 123(7):5640-5647, 2018. H. Nickisch, A. Solin, A. Grigorievskiy, ICML, 2018. M. Freiman, H. Nickisch, H. Schmitt, P. Maurovich-Horvat, P. Donnelly, M. Vembar and L. Goshen, Medical Physics, 45(3):1170-1177, 2018. M. Freiman, H. Nickisch, S. Prevrhal, H. Schmitt, M. Vembar, P. Maurovich-Horvat, P. Donnelly and L. Goshen, Medical Physics, 44(3):1040-1049, 2017. A. Loktyushin, H. Nickisch, R. Pohmann and B. Schölkopf, Magnetic Resonance in Medicine, 73(4):1457-1468, 2015. C. Lampert, H. Nickisch and S. Harmeling, IEEE Transactions on Pattern Analysis and Machine Intelligence, 36(3):453-465, 2014. J. Weese, A. Groth, H. Nickisch, H. Barschdorf, F.M. Weber, J. Velut, M. Castro, C. Toumoulin, J.L. Coatrieux, M. De Craene, G. Piella, C. Tobón-Gomez, A.F. Frangi, D.C. Barber, I. Valverde, Y. Shi, C. Staicu, A. Brown, P. Beerbaum and D.R. Hose, Medical and Biological Engineering and Computing, 51(11):1209-1219, 2013. A. Loktyushin, H. Nickisch, R. Pohmann and B. Schölkopf, Magnetic Resonance in Medicine, 70(6):1608-1618, 2013. P. Kohli, H. Nickisch, C. Rother and C. Rhemann, International Journal of Computer Vision, 100(3):261-274, 2012. W. Böhmer, S. Grünewälder, H. Nickisch, K. Obermayer, Machine Learning, 89(1):67-86, 2012. H. Nickisch, Journal of Machine Learning Research, 13:1699-1703, 2012. M. W. Seeger and H. Nickisch, SIAM Journal on Imaging Sciences, 4(1):166-199, 2011. C. E. Rasmussen and H. Nickisch, Journal of Machine Learning Research, 11:3011-3015, 2010. M. W. Seeger, H. Nickisch, R. Pohmann and B. Schölkopf, Magnetic Resonance in Medicine, 63(1):116-126, 2010. H. Nickisch and C. E. Rasmussen, Journal of Machine Learning Research, 9:2035-2078, 2008. I. Baltruschat, L. Steinmeister, H. Ittrich, G. Adam, H. Nickisch, A. Saalbach, J. von Berg, M. Grass, T. Knopp, ISBI, 2019. T. Elss, H. Nickisch, T. Wissel, R. Bippus, M. Morlock, M. Grass, MIDL, 2018. T. Elss, H. Nickisch, T. Wissel, H. Schmitt, M. Vembar, M. Morlock, M. Grass, SPIE (oral), 2018. I. Baltruschat, A. Saalbach, M. Heinrich, H. Nickisch, S. Jockel, SPIE (poster award), 2018. E. Hristova, H. Schulz, T. Brosch, M. Heinrich, H. Nickisch, SPIE (oral), 2018. K. Dong, D. Eriksson, H. Nickisch, D. Bindel, A. G. Wilson, NIPS, 2017. M. Freiman, H. Nickisch, H. Schmitt, P. Maurovich-Horvat, P. Donnelly, M. Vembar, L. Goshen, MICCAI PatchMI, 2017. W. Herlands, A. G. Wilson, H. Nickisch, S. Flaxman, D. B. Neill, W. van Panhuis, E. Xing, AISTATS, 2016. M. Freiman, Y. Lamash, G. Gilboa, H. Nickisch, S. Prevrhal, H. Schmitt, M. Vembar and L. Goshen, SPIE (oral), 2016. T. Blaffert, C. Lorenz, H. Nickisch, J. Peters and J. Weese, SPIE (oral), 2016. H. Nickisch, Y. Lamash, S. Prevrhal, M. Freiman, M. Vembar, L. Goshen and H. Schmitt, MICCAI (oral), 2015. A. G. Wilson and H. Nickisch, ICML, 2015. S. Flaxman, A. G. Wilson, D. B. Neill, H. Nickisch, and A. Smola, ICML, 2015. H. Nickisch, H. Barschdorf, F. M. Weber, M. W. Krueger, O. Dössel and J. Weese, MICCAI STACOM, 2012. D. Duvenaud, H. Nickisch and C. E. Rasmussen, NIPS, 2011. W. Böhmer and S. Grünewälder, H. Nickisch and K. Obermayer, ECML/PKDD, 2011. M. W. Seeger and H. Nickisch, AISTATS, 2011. H. Nickisch, C. Rother, C. Rhemann and Pushmeet Kohli, ICVGIP, 2010. H. Nickisch and C. E. Rasmussen, DAGM, 2010. H. Nickisch and M. W. Seeger, ICML, 2009. C. H. Lampert, H. Nickisch and S. Harmeling, CVPR, 2009. M. W. Seeger, H. Nickisch, R. Pohmann and B. Schölkopf, NIPS, 2008. M. W. Seeger and H. Nickisch, ICML, 2008. M. Grass, I. M. Baltruschat, A. Saalbach, H. Nickisch, J. von Berg, G. Adam, L. Steinmeister, H. Ittrich, T. Knopp, ECR, C-1093, 2019. H. Ittrich, I. M. Baltruschat, L. A. Steinmeister, M. Grass, A. Saalbach, T. Knopp, G. Adam, H. Nickisch, RSNA, AI200-SD-SUA1, 2018. V. Groza, T. Brosch, D. Eschweiler, H. Schulz, S. Renisch, H. Nickisch, MIDL, 2018. A. Schnurr, E. Orasanu, H. Schulz, H. Nickisch, S. Renisch, AAPM, SU-K-601, 2017. H. Nickisch, M. Freiman, S. Prevrhal, M. Vembar, P. Donnelly, P. Maurovich-Horvat, L. Goshen, H. Schmitt, ECR, SS 1003, 2017. C. Loeffler, S Flaxman, W. Herlands, H. Nickisch, JSM (Methods for Massive Spatial Data, Statistics and the Environment), 2016. V. Menkovski, Z. Aleksovski, A. Saalbach, H. Nickisch, NIPS Workshop on Machine Learning in Healthcare, 2015. M. Babayeva, A. Loktyushin, T. Kober, C. Granziera, H. Nickisch, R. Gruetter, G. Krueger, ISMRM-ESMRMB, 2014. A. Loktyushin, H. Nickisch, R. Pohmann and B. Schölkopf, ISMRM, #2461, 2012. C. Lippert, O. Stegle, H. Nickisch, K. Borgwardt, D. Weigel, ISMB, 2010. M. W. Seeger, H. Nickisch, R. Pohmann and B. Schölkopf, ISMRM, 2009. See also arXiv.org for a comprehensive summary. A. G. Wilson, C. Dann and H. Nickisch, arXiv.org, 2015. H. Nickisch and M. W. Seeger, arXiv.org, 2011. H. Nickisch, M. Grass, H. Schmitt, J. Timmer, US10111633, 2018-10-30. M. Grass, H.Schmitt, H. Nickisch, US9867584, 2018-01-16. S. Prevrhal, H. Nickisch, H. Schmitt, US9842401, 2017-12-12. H. Schmitt, H. Nickisch, S. Prevrhal, US9788807, 2017-10-17. H. Schmitt, S. Prevrhal, H. Nickisch, US2017245824 (A1), 2017-08-31. C. Lorenz, T. Klinder, H. Schmitt, H. Nickisch, WO2017109662 (A1), 2017-06-29. S. Prevrhal, H. Schmitt, H. Nickisch, WO2017108779 (A1), 2017-06-29. M. Grass, Y. Lamash, L. Goshen, H. Schmitt, M. Freiman, H. Nickisch, S. Prevrhal, US20170105694 (A1), 2017-05-10. H. Schmitt, C. Haase, H. Nickisch, S. Prevrhal, WO2017060106 (A1), 2017-04-13. A. Groth, H. Nickisch, F. Weber, J. Weese, H. Barschdorf, EP3080777 (B1), US2016379372 (A1), 2016-12-29. H. Schmitt, H. Nickisch, S. Prevrhal, US2016206265 (A1), 2016-07-21. H. Homann, M. Grass, R. Florent, H. Schmitt, O. Bonnefous, H. Nickisch, WO2016087396 (A1), 2016-06-09. H. Nickisch, PhD Thesis, Technische Universität Berlin, Berlin, Germany, 2010. H. Nickisch, Diploma Thesis, Technische Universität Berlin, Berlin, Germany, 2006. 6) Med NN Sparse convolutional neural networks in 3d medical image segmentation"
Yuan Yao, Master Thesis, Technical University of Berlin, Berlin, Germany, 2019. Laurin Mordhorst, Master Thesis, Hamburg University of Technology, Hamburg, Germany, 2018. Evelin Hristova, Master Thesis, Hamburg University of Applied Sciences, Hamburg, Germany, 2017. Ivo Baltruschat, Master Thesis, Universität zu Lübeck, Lübeck, Germany, 2016. 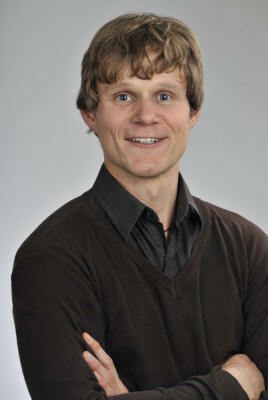 Alexander Loktyushin, PhD Thesis, University of Tübingen, Tübingen, Germany, 2015. 1) Med Model Generation for Automatic Myocardium Segmentation. Jan Wingerter, Diploma Thesis, Karlsruhe Institute of Technology, Karlsruhe, Germany, 2013. See also publons for a summary of my review activities.